This item has a leadtime of 3 - 5 Weeks, we will contact you to arrange delivery once the item has arrived into stock. Your order will be delivered to you in approximately 3 - 5 Weeks. Once the full order has been received by us, a member of our despatch team will contact you to arrange a date for delivery. Millbrook Beds stylish range of designer headboards conveys true hotel luxury in your very own bedroom. designer look, or with a standard headboard strut. Available to suit all sizes of bed and can be upholstered in a choice of fabrics from our range to truly enhance your bedroom. 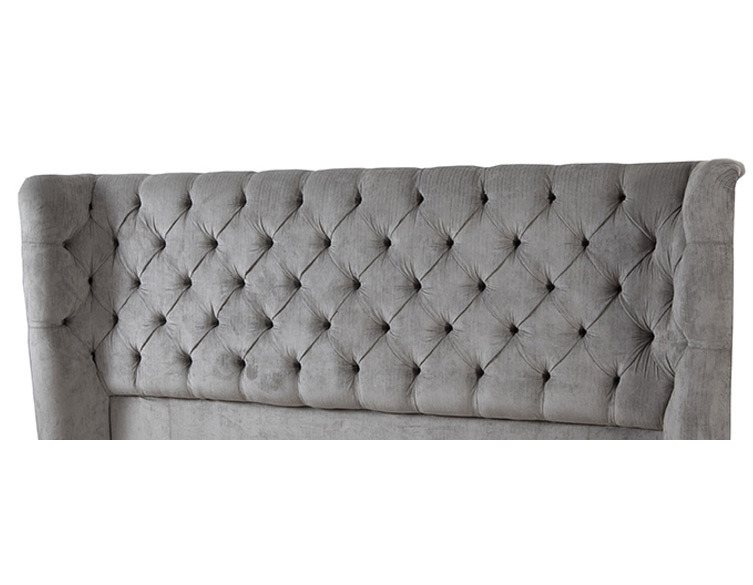 Extremely luxurious deep buttoned headboard. A stylish full depth, which wraps around your mattrress and extends to the base of the divan for a truly designer look. Available to suit all sizes of bed and can be upholstered in a choice of fabrics from our range to truly enhance your bedroom.